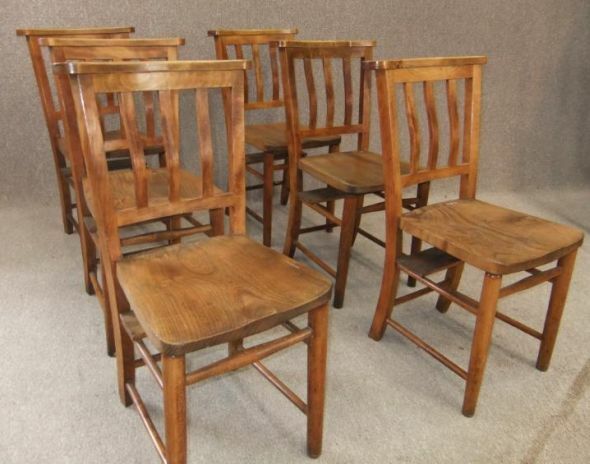 We have for sale a quantity of traditional Edwardian elm & beech chapel chairs school chairs from a small Welsh chapel. The chairs are in lovely condition, and their unusually shaped back makes them extremely comfortable; ideal for any kitchen country interior, restaurant, pub etc. These chapel chairs school chairs are in a lovely warm mellow colour, and in excellent condition for their age; circa 1910. £17.95 delivery for a single chair to England and Wales.